Time to get a journal going. A bit of my background in fish keeping first. 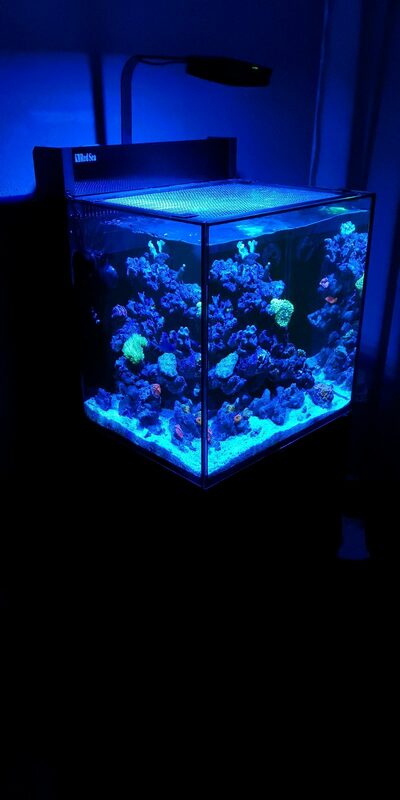 I had a 360ltr reef tank 20years ago, was Berlin style. I big Aqua medic skimmer, lot of Fidji live rock, sand fluidized bed filter, metal halide and actinic tubes. I olso keeped discus for quiet sometimes. 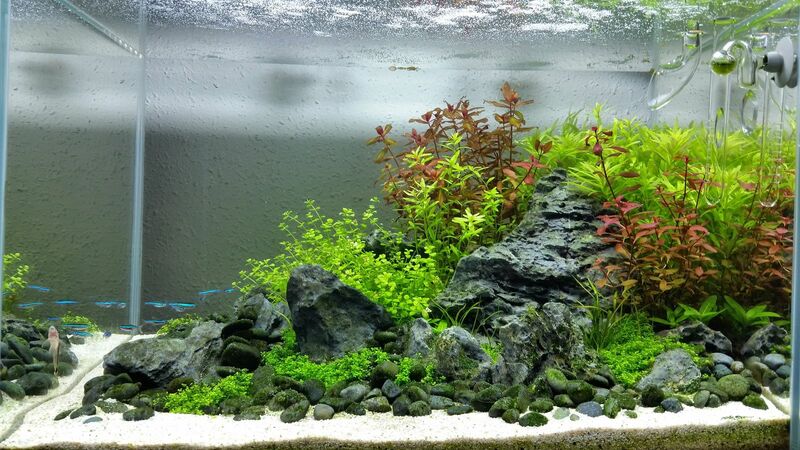 And more recently planted aquariums for few years. 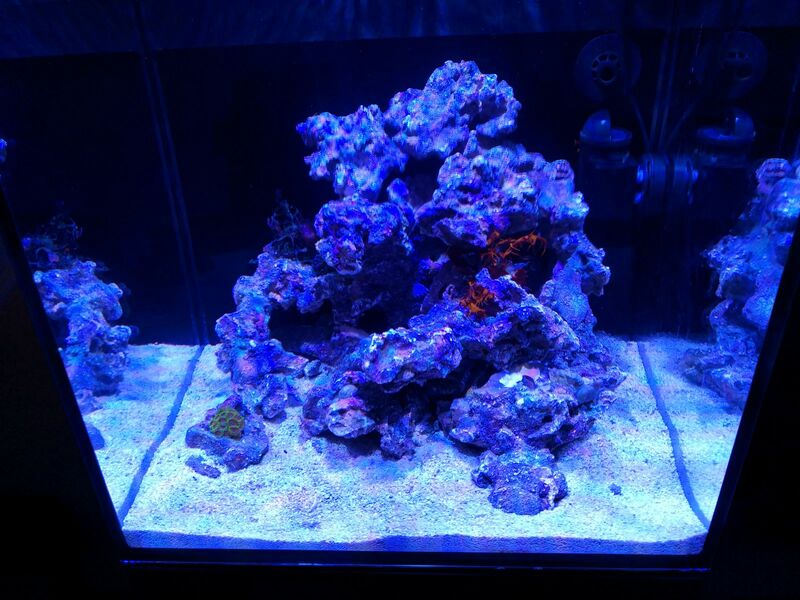 For years now was thinking to go back to reefing getting. Slowly got bored with fresh water. Then it became to a point that the maintenance was getting a shore. The fun wasn't there any more. 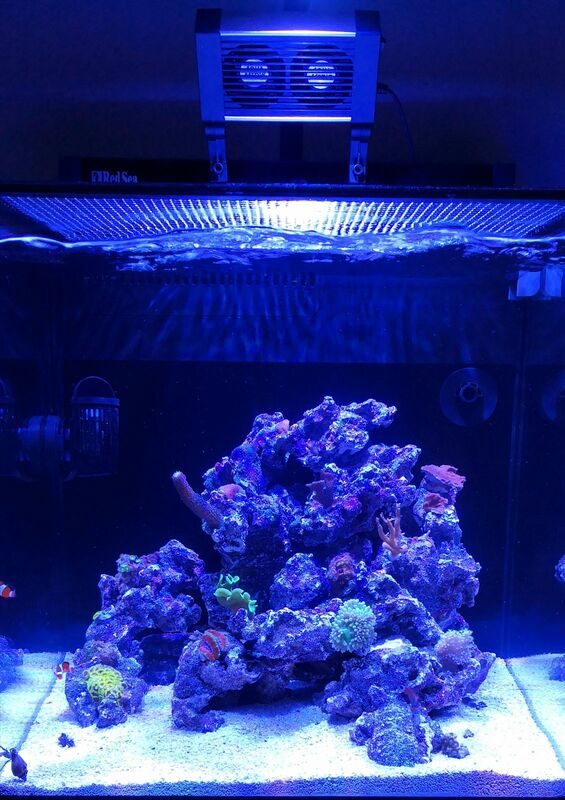 So after some debate between a IM 20g and a Red Sea Max Nano. I choose the RSM. The tank has been set up a bit over a couple of months now. I dose daily Nopox and Red Sea fondation alkalinity B. Live stock: 3 snails of different types. 1 Spotted Tail Blenny. 1 Zoa. 1 Finger Toadstool. Everything is standard apart a Tunze 6040 DC and a Tunze ATO nano. I olso removed the big sponge in the last chamber. Don't know if it is the right thing to do but I was a bit worry about the nitrates. Let me know what you think on this one. So far, the tank as been running without to much problems. The return pump was noisy, I done the fix recommended by Red Sea. Gluing the propeller to the rotor. Now the pump doesn't make noise anymore. The skimmer was asweel noisy. But it got much quieter with time. My only issue for the moment is with Nopox. It give me some white flocks. I was dosing 1.5ml per day. So for a couple of days now, dropped the dosage to 1ml daily. Any thoughts on that? Any suggestions, critiques or else are welcome. man i love those tanks, how are you liking your tank so far? I was thinking on saving up for one but wondering if they are worth the price tag? 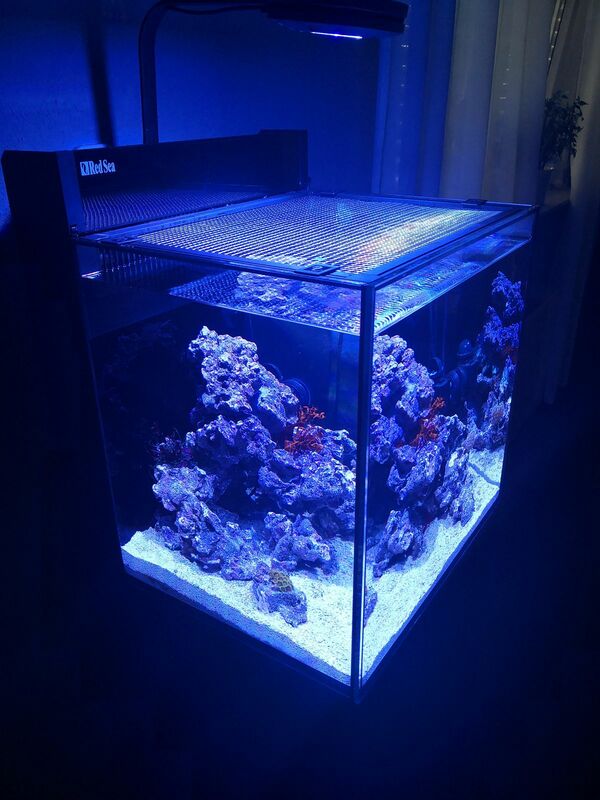 In Europe, we don't have to much choice for Nano reef (good quality) . So was, the IM 20g, but the only shop I could found was in Denmark and then was the problem to find a good skimmer who can fit in the rear chamber. Then there is the Aqua Medic Blenny, a bit cheaper. But the lighting and cabinet who come with it is not as good quality as the RSM Nano. In Europe the AI Prime HD with bracket retail at almost 350€. At a bit less than 800€ the RSM come with a decent skimmer, a good return pump, a small ATO and a very good build quality (tank and cabinet). So yes, I really like it and I don't think it is over price. The ATO, for sure not the best, it work. Just need to be refill often, it's very small. But it is better than none. Just replaced it because I am a bit lasy. And for the Tunze turbelle I added, I am not an expert but I am pretty sure that the return pump alone will be enough for LPS. Just wanted the random flow. So yes I will defenly recommend it. Beside Red Sea was very fast to reply my emails when I had a question. ok good info, thanks! 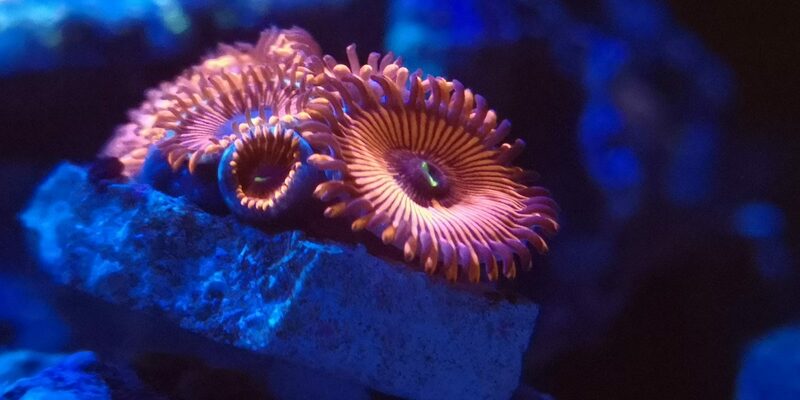 i am debating on saving to get one or go with the im nuvo fusion lagoon 25. Tank looks good by the way! 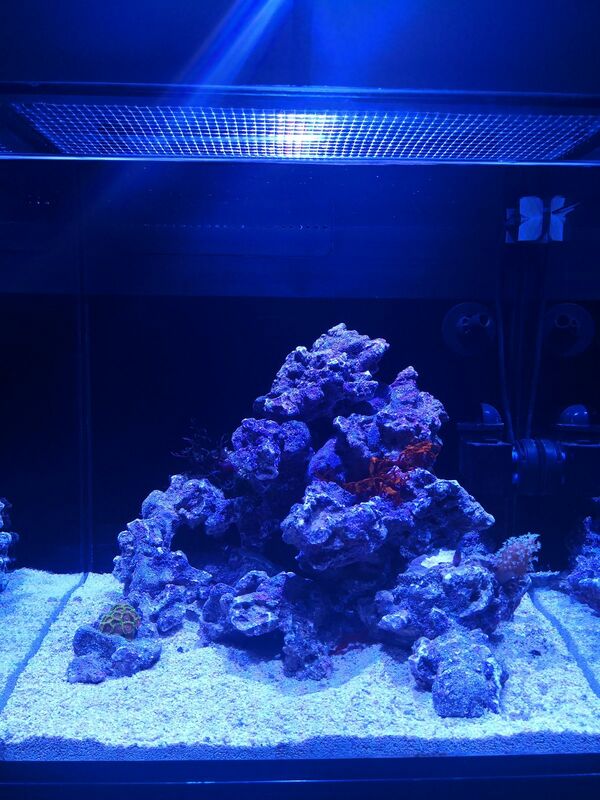 Nice to see your nano reef off to a good beginning @alexandre! 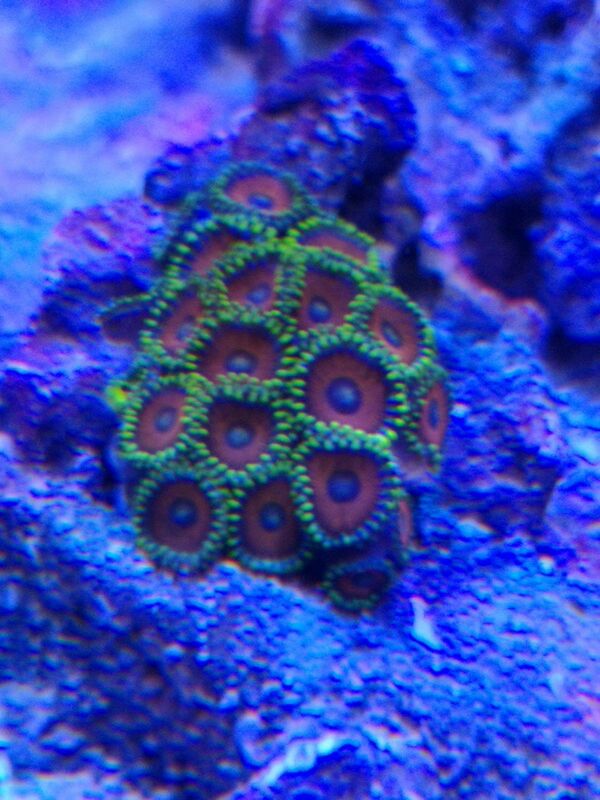 Your zoanthids remind me of the first ones I ever had, I love that color combination! 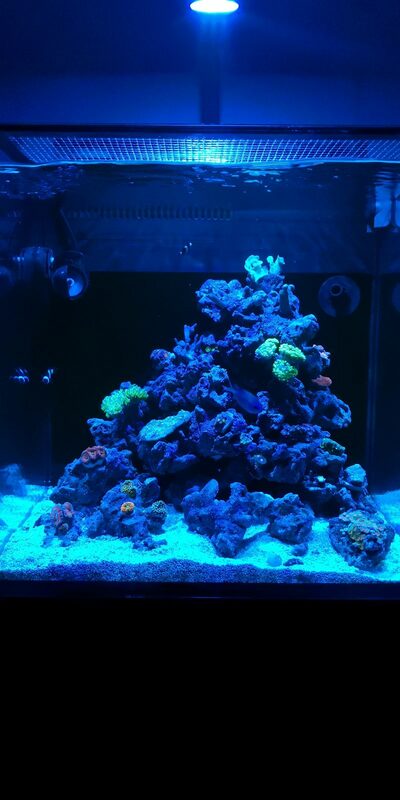 Is there anything new in the reef hobby that you've been impressed with, after being away from saltwater for some time? I would say the controllers like apex etc. Waves makers and of course lighting. The Internet made a big difference. 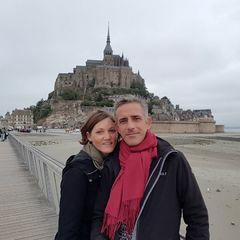 At the time I used to leave in England and drive 50 miles if I wanted to buy something or wanted some advice. My lfs was not very resourceful and they will sell you anything. Now with the Internet you can quickly check a review on a product or check about live stock and read forums. So that I think that did help the hobby in a good way. Another thing is, I don't seam to remember to see or buy any frags. But I wasn't doing sps, so maybe that's why. All the lps and softies I brought were big. I have the max nano and love it. Tag is a bit steep but... for what you get its really not bad. Skimmer, ATO, built in sump with pump and plumbing, an awesome light tank and stand. Only other equipment I purchased was a wave maker and heater. Done a bit of aquascaping. 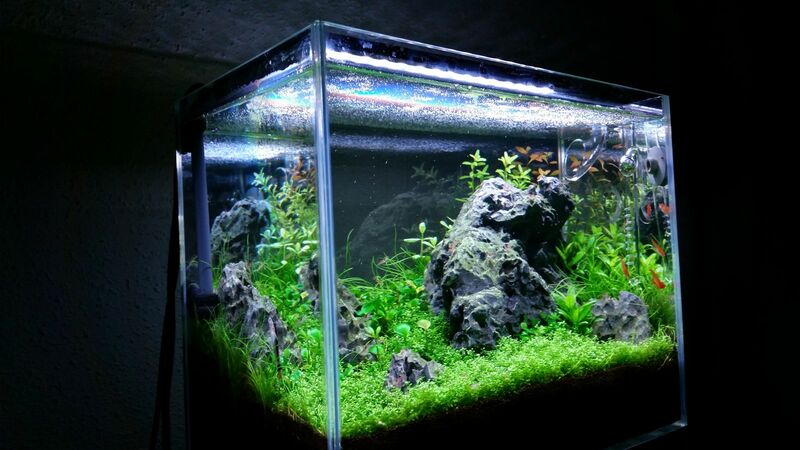 Done a bit tof aquascaping. That should help quite a bit for the temperature drop you need. Keep an eye on your ATO reservoir too, it'll evaporate off much faster with the fans running. The fans do the job, the day I receive the kit (Saturday) the temperature was at 30 and the corals looked very stress. So I am glad I ordered it on Friday and got it on Saturday. Otherwise would have been delivered on Tuesday if I pass the order on Saturday. Now the temp is around 25.2, 25.3. If I put the fans speed more up it get really noisy. But I guess 0.3 diffence in temp is ok.
Time for an update of the tank. The skimmer who was a bit to noisy got quieter and quieter. The ATO run good. 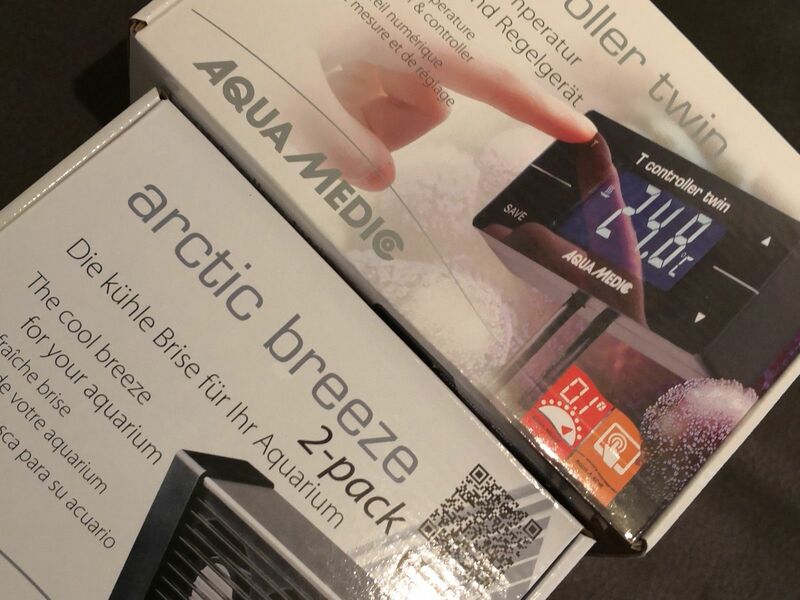 The Aqua Medic T Controller TWIN combine with the fan is awesome. So équipement wise everything is running fine. 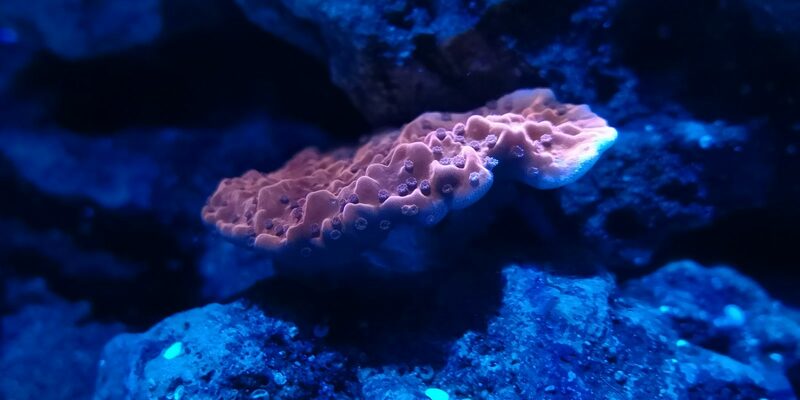 I tried few cheap frags from an online saler just to check how the tank is doing. The birdnest got bleached in 2 days, but might be my fault (placed it to hight in the tank). 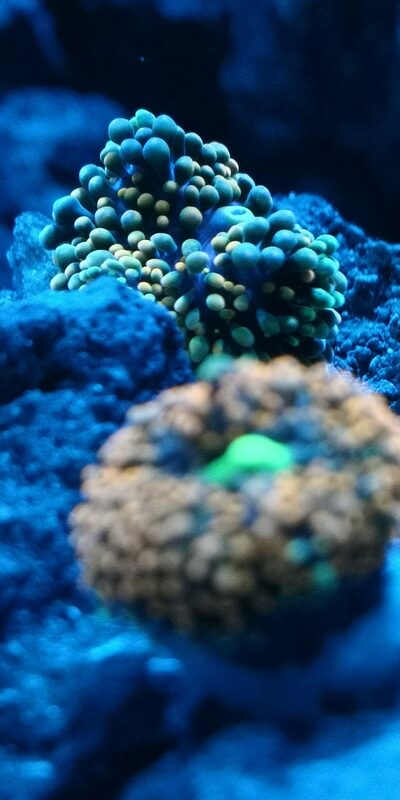 Montipora plate and digitata are doing well. 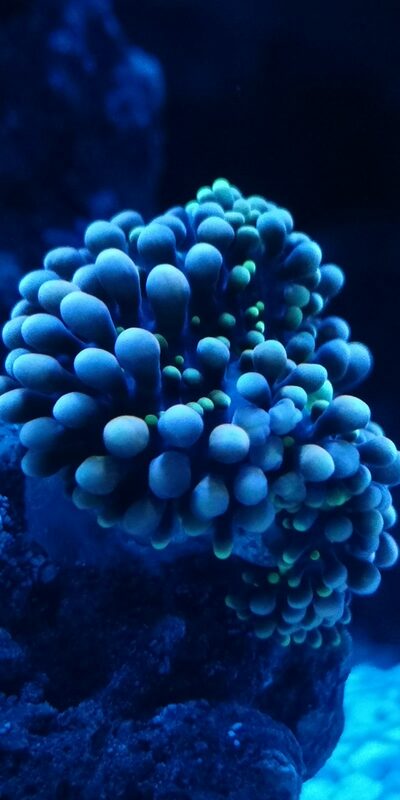 Montipora danae didn't do so well. Not sure if it is the light, saw few critters on it at night. They moved very fast when I put the flashlight. 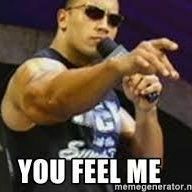 So the next day, I done a new dip and try to cup as maximum the rock it came with. Which ended in 2 frags. 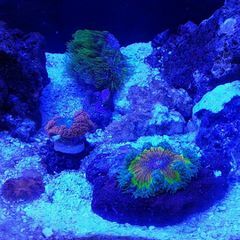 The other corals are doing well. So the test is kind of positive. 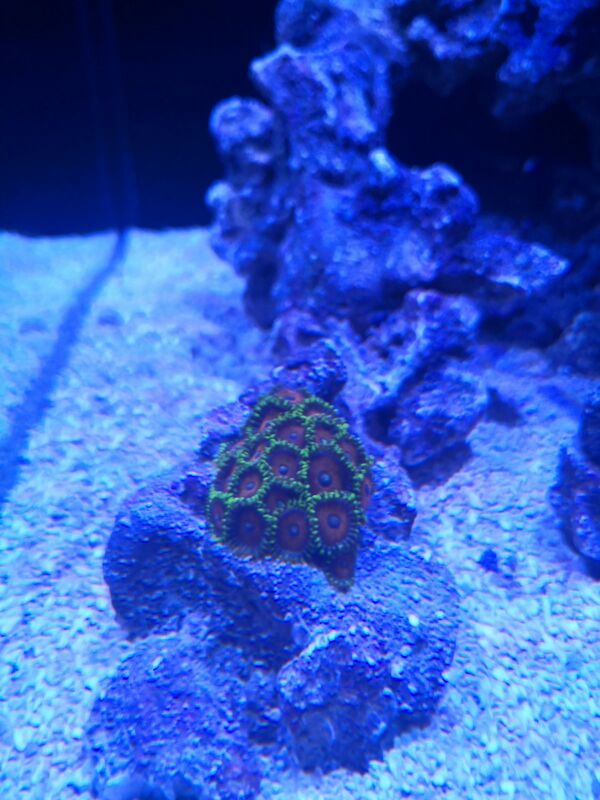 I feel now more confortable to spend more on nicer corals. Did pickup a couple of ocellaris yesterday for my wife. Not really what I wanted but she really wanted some.. . Thanks Euphylin me. I did the acclimation mode on the prime at 40%. 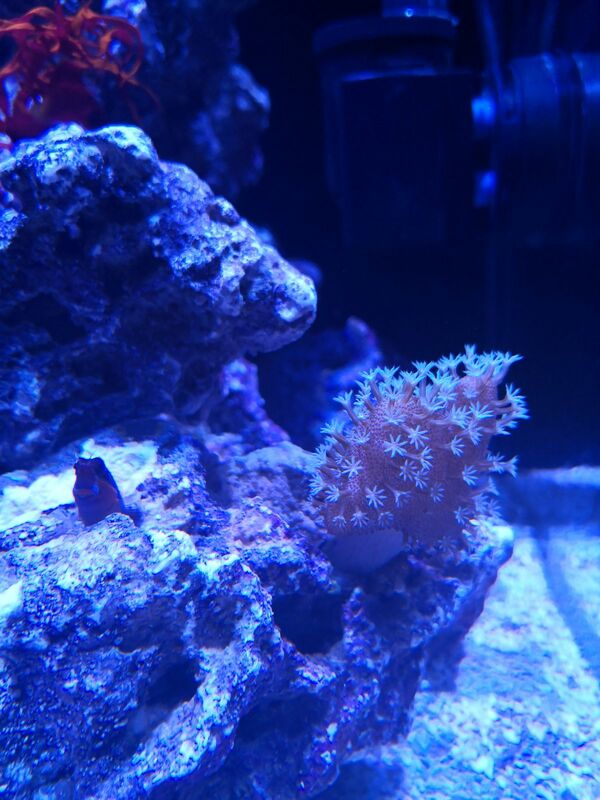 So maybe the coral wasn't at it's best when it came or he was keeped under low light before. Really don't know. Little update. No new live stock, apart red planaria... 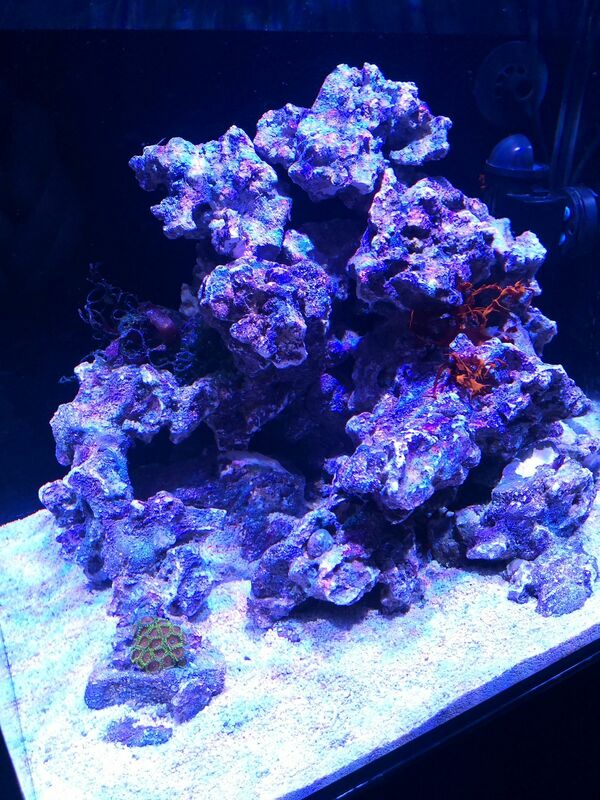 I don't know why because I diped every single corals. It is not so bad apart... Flatworm Exit is not available in Europe.... I can get Flatworm Stop but apparently it doesn't kill them. I don't think it is over feeding the problem. 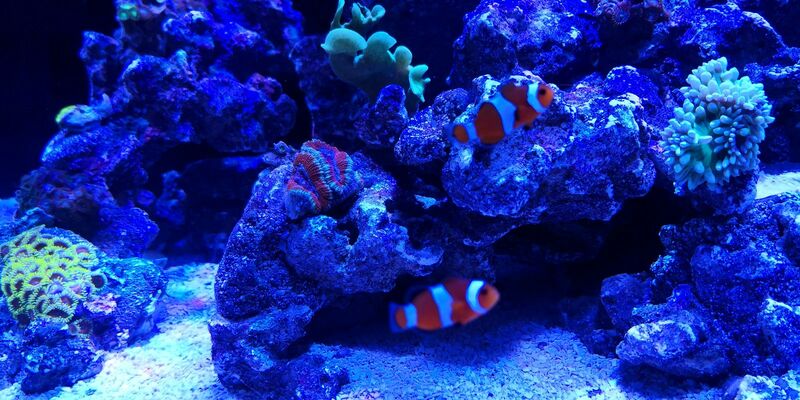 I feed the Fishes every other day and with a pipette (kind of spot feeding) same for the Acan and Duncan. 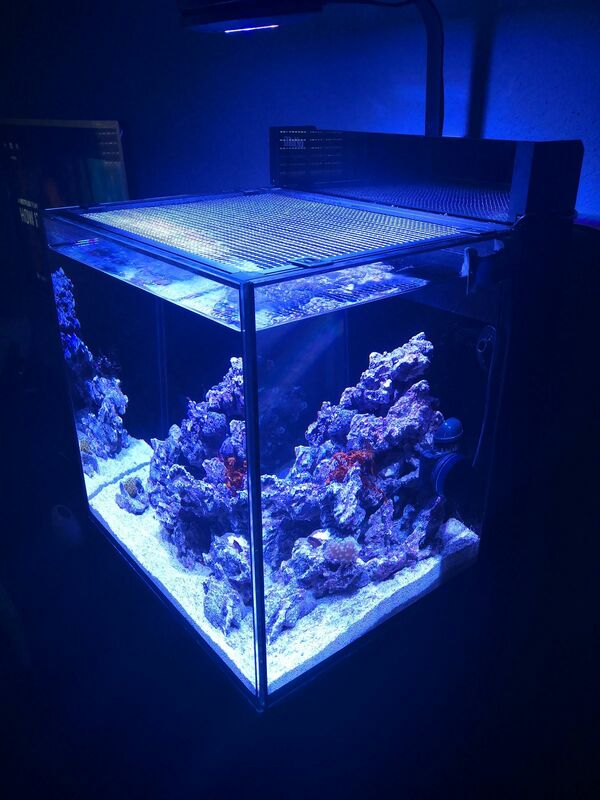 Started with the Red Sea Reef Energy program a couples of weeks ago but about half the recommended dosages. 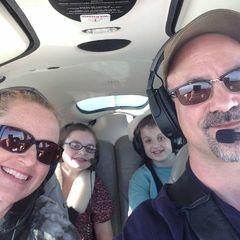 The Magnesium was really hight 1600 and Calcium low 380. So the last few days I am dosing the Reef Fondation A from Red Sea. Today the Calcium was 440 and Magnesium 1560. But the KH jump to 9.8.... Will have to monitor those parameters. Got as well the Red Sea Color program. Didn't start it yet. But seriously what else Red Sea do, so I can buy it? lol. First one a 40ltr and second 13ltr. Man, I love that planted tank. I’ve never kept one. Would like to do one some day. Once that day comes I’ll pick your brain. 5 to 6 months no updates, sorry. The nano is running fine. The parameters are kind of OK. My PO4 are to low if I can trust the salifert test kit (0ppm). The NO3 are a bit to hight (for a lps tank) , about 15ppm. Got a doser and got lazy, problems are the tubing are full of air, specially the nopox one... Need to figure this out. Otherwise the kh, ca and mg are stable. Mg is a bit high, 1500ppm, don't dose any. I get this mg just from the Red Sea blue bucket salt.